The Sigh many are familiar with are of the most eclectic bands in the business, combining various styles of music in an effort to produce something new. While metal is no stranger to taking other genres under its wing, Sigh rewrite the rulebook that was supposedly set in stone and, in the process, create their own style: avant-garde metal. The band were not always like this, however, and began as a black metal band, incorporating various influences as the members searched for an identity unlike any other. Sigh’s sixth record, Gallows Gallery, builds upon what Imaginary Sonicscape started--Iron Maiden-esque harmonized guitar riffs, psychedelics, and infectious melodies--but drops the raspy vocals black metal is known for. While Gallows Gallery discards Mirai Kawashima’s scratchy screams in favor of clean vocals, the most extreme change is that of a thin and lifeless production. Though it does nothing to accentuate the brilliant guitar work and causes the drums to sound rather hollow, it doesn’t make the album any less enjoyable and begs listeners to dig deeper to find the hidden treasures among its layers. Each spin reveals something new--which is not surprising considering later Sigh records--and while it does seem relatively complex, it pales in comparison to more recent releases. 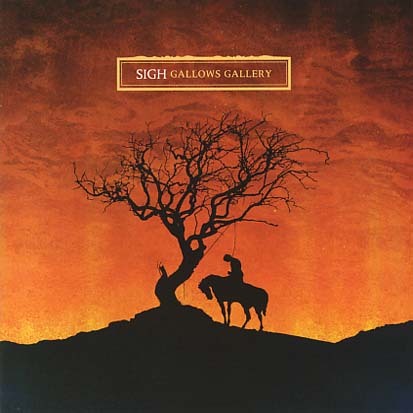 Aside from the obvious changes, Gallows Gallery is where Sigh continued to push metallic boundaries by introducing saxophones and winding keyboards. Although many will label Gallows Gallery as the band’s least "metal" record, I tend to disagree because Sigh were as heavy as they had ever been. It's just that the thin production, as well as the extra catchiness, created an illusion of softness. Much of the album is caught in a time warp, thanks to various influences and travels back to the seventies when prog rock ruled the roost, too. As a result, this remains the group’s most accessible record to date and sits as the offering newbies should reach for as they begin to explore the band’s discography. Gallows Gallery has one advantage that other Sigh records don’t as well: short song lengths that make the album a breeze to sit through, instead of suffering through seven-to-10 minute "masterpieces." 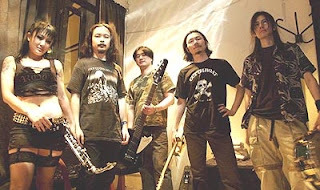 With Gallows Gallery, Sigh have fashioned a rockin’ version of their traditional sound and become a better band for it. And as they continue to grow weirder, Gallows Gallery will be an easy listen for listeners who lack the stomach for electric-sounding music. Even as Sigh changed certain aspects of their sound with Gallows Gallery, they became a band open to experimentation, testing future waters as they worked away at bettering their music. The album is an attempt at reaching back to the rock's old days and, for the most part it succeeds with flying colors. Recommended in every sense of the word.